The pre-publication editon of my new book: BEDSIDE MANNERS: The Pain Clinician guide has just been completed. 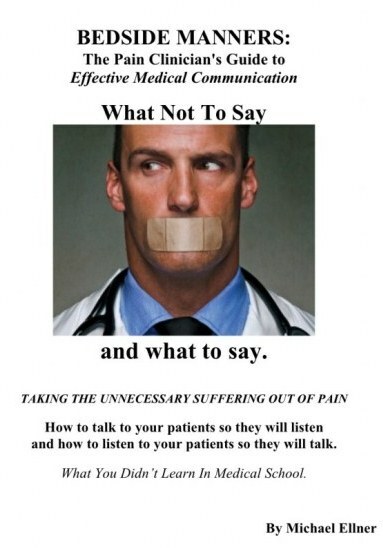 It is designed to help physicians De-stress – Communicate Effectively and Prevent Burn-out. Ultimately both the doctor and his or her patients win.